There is a good news and bad news today! Brilliant first time pass by Isla from Wellingborough. Her friend passed 1st time with adriving. 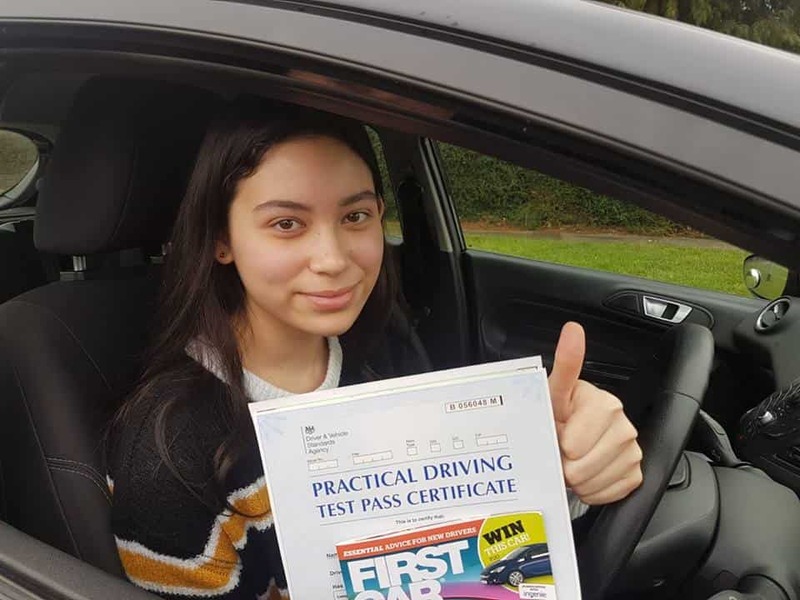 She started her weekly lessons with our driving instructor in Wellingborough about three months ago and had her test booked on 5th February 2019 at Wellingborough test centre. She drove very well on the day and passed with only 4 minor driving faults. Contact us if you want to be the next to pass 1st time. Bogdan passed 1st time! He was recommended by his girl friend who passed her test first time too with us about 1-2 months ago. He was complete beginner with no previous driving experience and started about 3 months ago. Bogdan did 1-2 weekly driving lessons Wellingborough and he was a bit nervous driver at the start but our experienced instructor put him at ease and helped him on how to deal with different and complicated junctions and big roundabouts independently. He passed his driving test today 31 January 2019 with only few minor driving faults. Lucky! Had the same test route which he already practiced with his instructor. 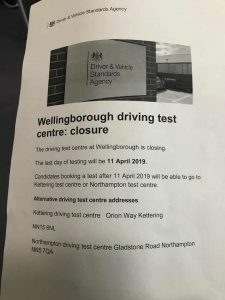 Wellingborough driving test situated at Glamis Hall Goldsmith Road Wellingborough Northamptonshire NN8 3RU is closing on 11 April 2019. Which is a bad news for Customers and candidates who live in Wellingborough and surrounding areas. Test centre was opened in September 2016 with tests available every Tuesday and Thursday. It’s convenient and feasible for local people to book their test in Wellingborough as it’s fairly a busy town and need a driving test centre. Learners will have to go Kettering or Northampton Driving Test Centre if they are looking to book their practical driving test after 11th April 2019. 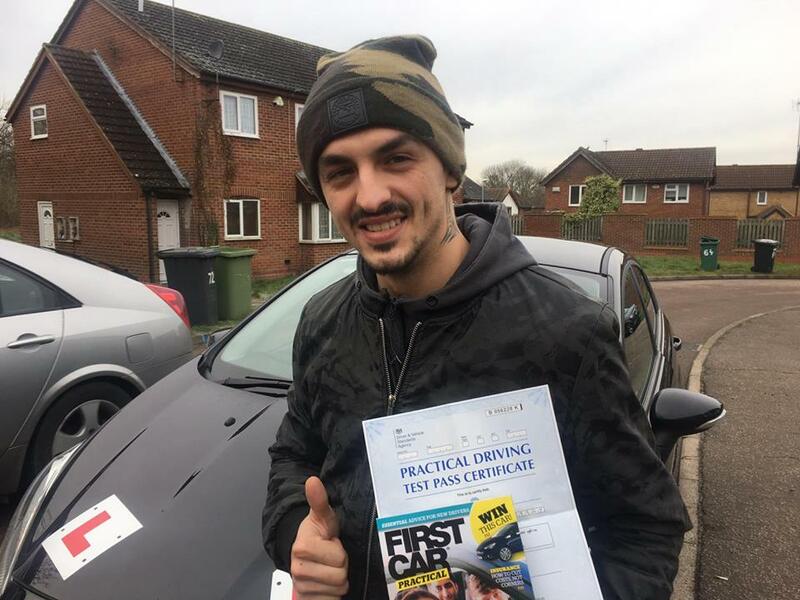 We also spoke to few driving instructors in Northampton and they strongly believe that this test centre should remain open because huge number of candidates book their test in Wellingborough. Instructors have booked an appointment with local MP so they can file their suggestions to keep this centre open.